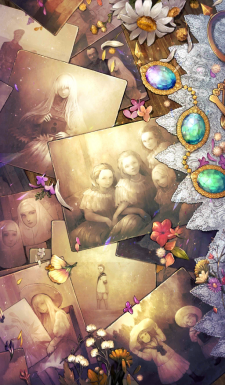 Increase all allies' Arts Card effectiveness & NP Strength by 10% only if Anastasia (Caster) is equipped with this Craft Essence when she is on the field. Put the first letter of each name together to form OTMA. That is our secret name. Even if we get married and give birth... Even if we are separated, the fact that we are sisters will never change. Of course, that never became true. Ah... but there was something else that happened. At the time of our deaths, we were together.